Toyota has long been a leader in hybrid technology ever since the original Prius debuted back in 1997. 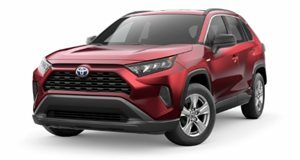 Other automakers have attempted to capture market share away from Toyota with hybrids of their own but Toyota's own RAV4 Hybrid and upcoming Corolla Hybrid have ended up taking away sales from the Prius. 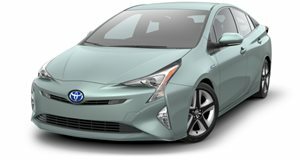 Toyota realizes that the Prius' time as the most dominant hybrid on the market is coming to a close, so it has announced it will share its hybrid technology with the rest of the industry. We have already seen the first glimpse of this sharing with the Subaru Crosstrek Hybrid, which borrowed a hybrid system from the Prius Prime. The Japanese automaker has officially released 24,000 patents from 20 years of hybrid development, which can be used toll-free by other automakers. 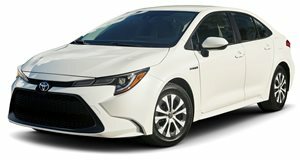 Automakers who take Toyota up on its offer to borrow engines, batteries, control units, and other components will also be given the option for fee-for-service technical support for the development and sale of electrified vehicles. So although the patents themselves will be free to use, Toyota will earn some revenue helping other automakers implement the technology into their lineups. "The time has come for cooperation," said Shigeki Terashi, board member and executive vice president of Toyota Motor Corporation. "We receive a great deal of inquiries about our electrification systems from companies that recognize that hybrid powertrains and other electrified vehicle technologies need to become even more popular. If the number of electrified vehicles rises significantly in the next ten years, then they become the standard. We want to support this process." This seems like a quick way for other automakers to develop hybrid vehicles easily without a costly development process. As we've seen with the Crosstrek hybrid, the results can yield very efficient hybrid vehicles. The only issue we see here is that much of the industry is already looking beyond hybrids to build fully electric vehicles. Toyota may have enacted this plan too late as competitors are already hard at work developing EVs.